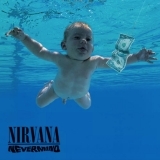 Nevermind (this album) (1991), MTV Unplugged In New York (1994), Live At Reading (2009), Live At The Paramount (compilation) (2019). Showing latest 5 ratings for this track. | Show all 623 ratings for this track. Favorite song off Nevermind, second to Drain You. My favorite part of the song is the harmonized vocals. Did Kurt do both parts on the album or did Dave Grohl do the backing vocals? The best song on "Nevermind", shows that Kurt doesn't take himself too seriously.